The Dustin and Stacey Show! 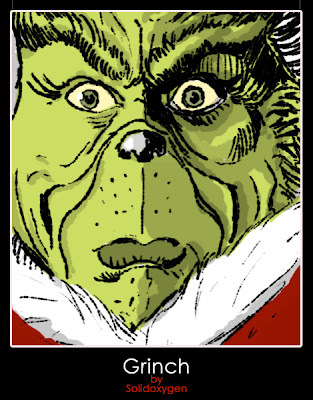 : I am the Grinch! So I realized it's been a really really long time since we last posted. Sorry! Life has been crazy here! With all the holiday stuff, med-school stuff and wedding planning, we are pretty busy! Usually Christmas is a fun time for me. I enjoy all of the planning, gift buying, baking and decorating. This year however has been extremely rough! I have been so stressed at work that I leave there every day just overwhelmed and exhausted. I feel bad for Dustin who has to deal with my crankiness! The other day I noticed that when people ask me how I'm doing, my first response has been to tell them that I'm ready for all of this holiday madness to be over. I feel like such a Grinch! 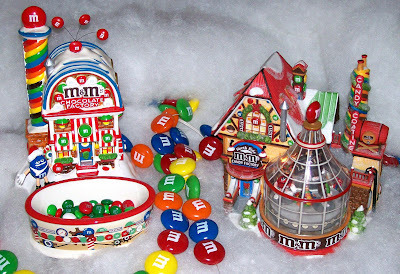 So in an attempt to get myself back in the holiday spirit, I decided to finally put up my Christmas M&M village. I just started collecting it last year so it's still pretty slim. But I still like it! The M&M village looks festive! Cookies! I Mean, Dog Treats!